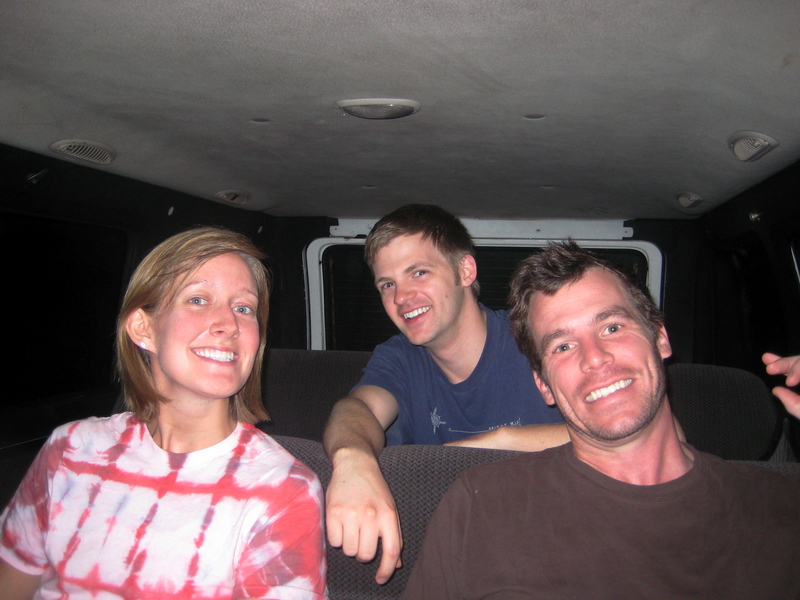 5 of us got up at 4:30am to walk to the outdoors store to drive to the starting point of our volcano hike. It had rained all night, very loud on the roof, and was still raining. 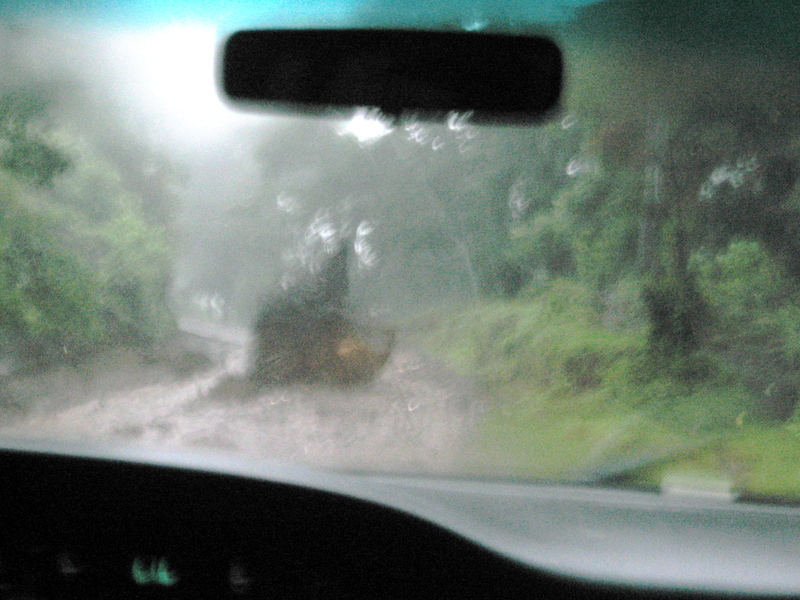 Our tour guide showed up a little late and said there had been some mudslides on some of the roads between Guatemala City and Antigua. We thought nothing of this since mudslides are fairly common in the country. So we set off, rain still pounding on the van. We drove off the main road onto the mountain roads…literally dirt roads. We came across a huge rock/tree root something that was blocking about 80% of the road, but managed to squeeze by in the van. But next, we came to a curve with an uphill, where 3-4 men were working to fill in where part of the road had washed away. Our tour guide got out and checked it out. 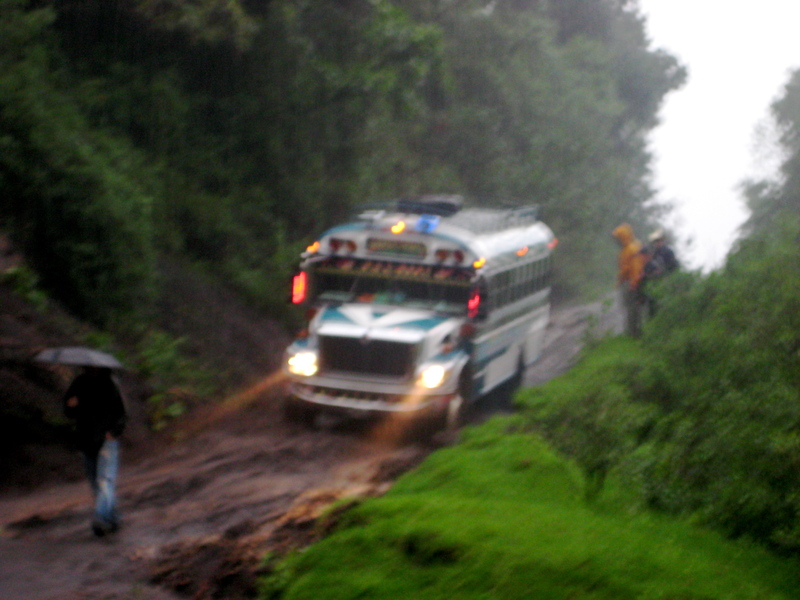 A chicken bus came down the hill and at one point looked as if it might fall over. The tour guide said even if we managed to make it up, we would probably not make it back. So we sadly turned around and headed back to Antigua. Come to find out, when we got back to the hotel, a tropical storm was on it’s way. It literally poured rain all day. So we did some laundry, grabbed lunch, and hung out to see what was going to happen. Next thing you know? Airport is closed until Wednesday. Wonderful. As the storm got worse, the girl working at the hotel (who was the best friend we had and wonderful) told us the last time a large tropical storm they lost power for 5 days….then we heard parts of the city had already lost power. Then our power started flickering ever now and then. It is hard to describe the scene. We were on all 3 computers frantically trying to email parents (“we may lose power for days!!!!!) while another group went to the grocery store to get the essentials: bread, peanut butter, jelly, and wine. To make a long story short, my roommate Meghan needed cash while at the store and stuck her debit card into the ATM just as the power completely shut down. It all worked out ok in the end, but it was a stressful time. The power came on after about and hour and a half, and some of the group still wanted to venture out for dinner. So we did. Still raining. Still cold. Still miserable. 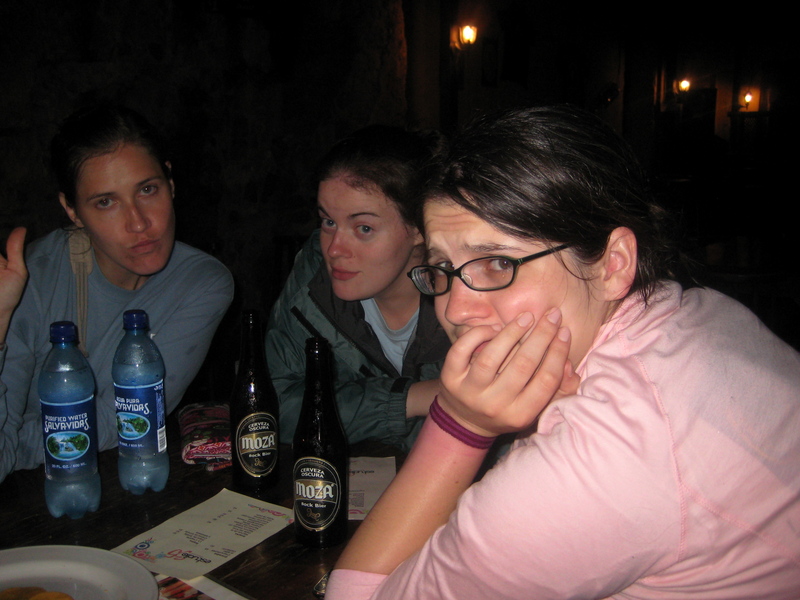 Categories: Tickled Tuesday | Tags: Antigua, Guatemala, travels, tropical storm | Permalink. I’m loving reading about your adventure! !